The Bridge is a short, documentary game tackling themes of depression and male suicide in the Tayside area. The non-fictional narrative is enhanced by re-callings from my father’s ongoing battle with depression and coping mechanisms used when times are at their toughest. 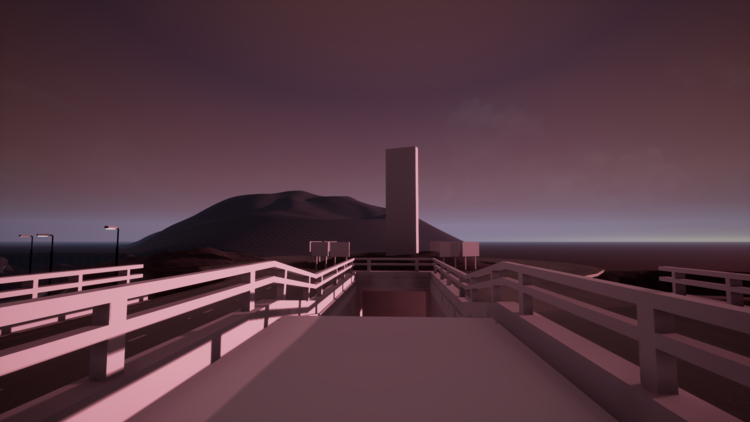 Considering that the game takes place namely on the Tay Road Bridge, I decided that it would be best to begin whiteboxing the main scene. Although currently not a 1:1 recreation of the bridge area, later work will hone the layout to better resemble the surrounding environment. As it currently stands I believe that there is enough resemblance to start introducing some first-pass assets and dialogue to begin testing game flow. To obtain the audio assets required for constructing the narrative I will need to conduct a semi-structured interview with my dad. I believe that this interview will be quite difficult for the both of us as we haven’t discussed the topic in such detail before. I am extremely proud of him for agreeing to carry out this interview and I hope that my work can convey his story with the respect it deserves.